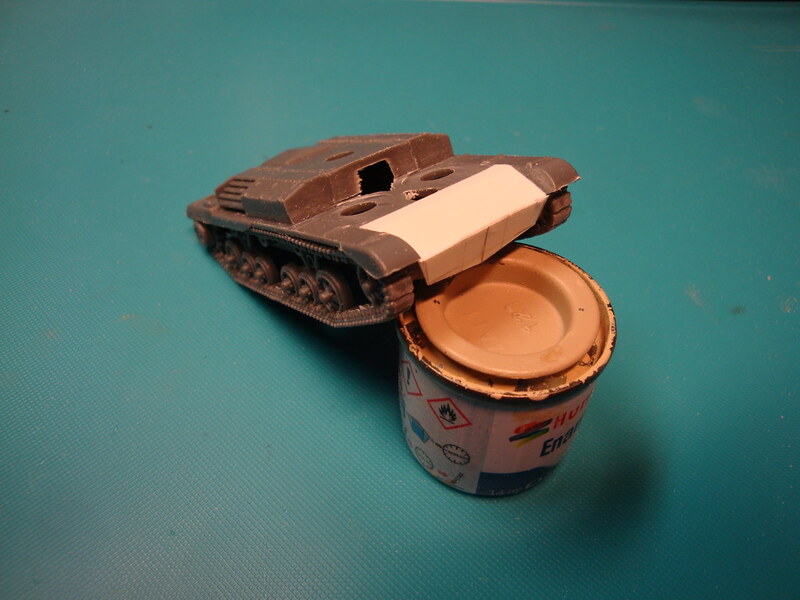 Recently I built two A9 Cruiser Tank Mk.I's from Plastic Soldiers 1/72 series. 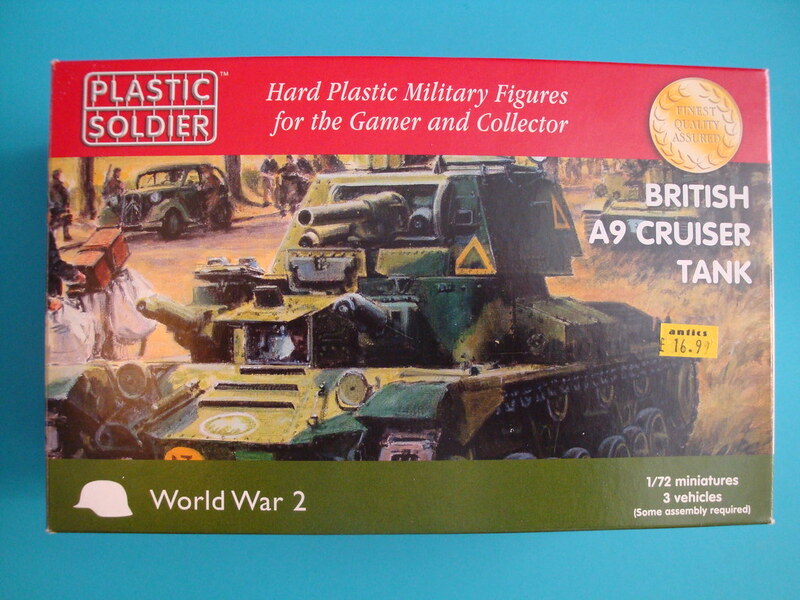 They feature three quick build vehicles in one box, intendend for wargaming. You can see the result of these builds here. 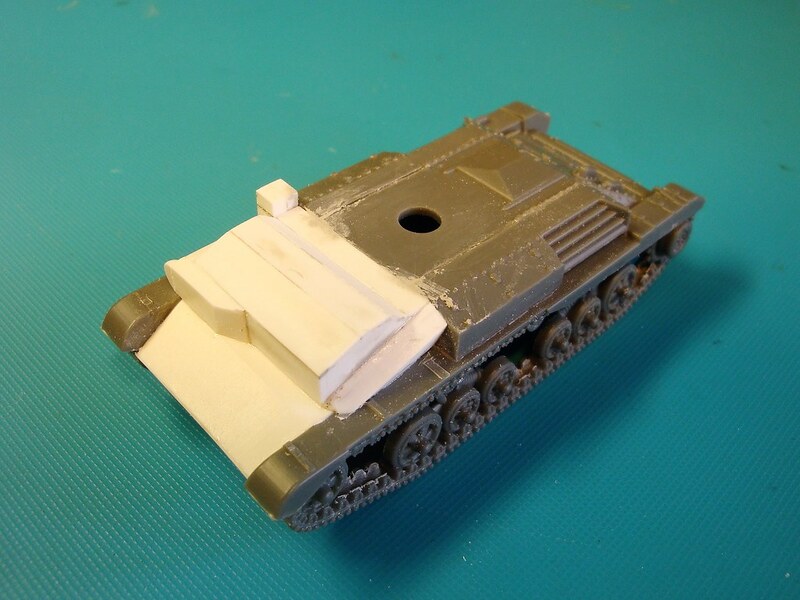 Now I intend to convert the third model in the box into a slightly different type: the A10 Cruiser Tank Mk.II, also known as heavy cruiser. 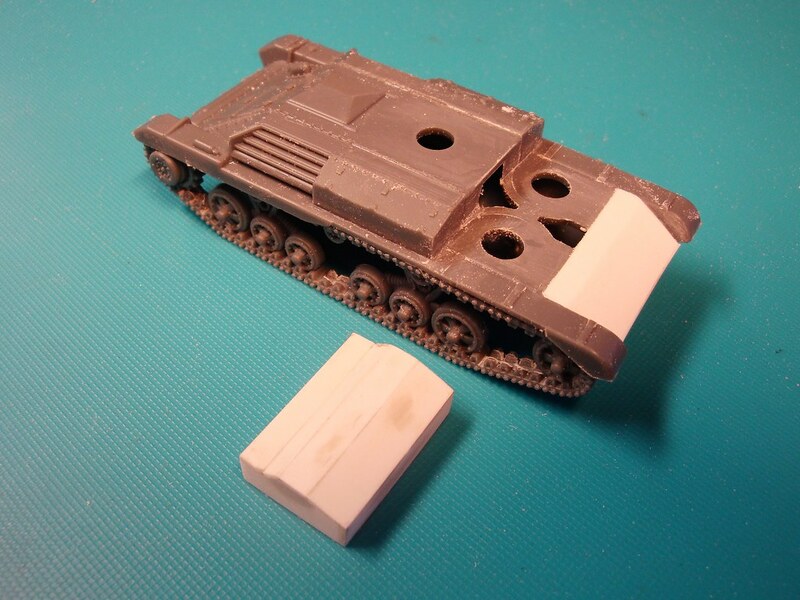 Two sprues to make one tank, with different parts to make several versions. 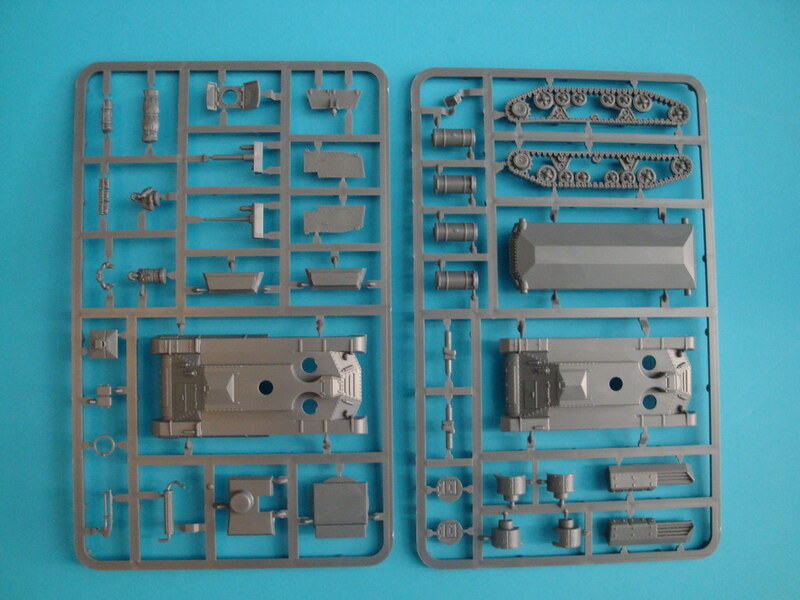 In the box are six sprues to build three tanks. 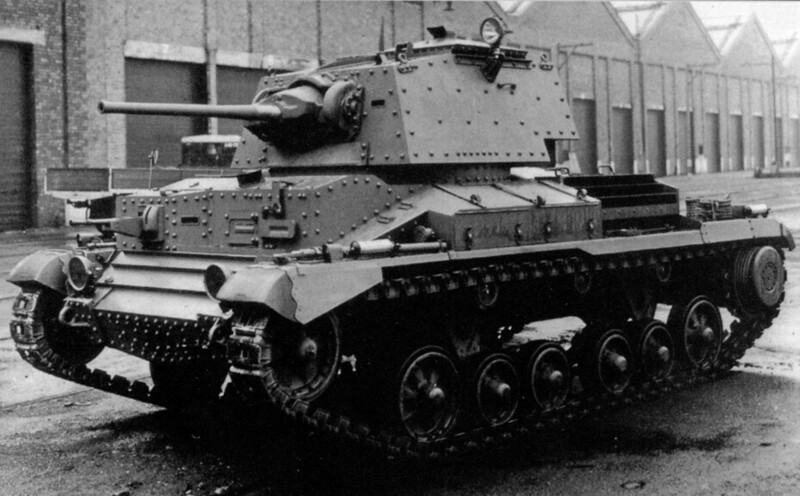 The A9 Cruiser Mk.I was a lightly armoured fast tank, equipped with two 1930's style machine gun turrets on the fron hull. 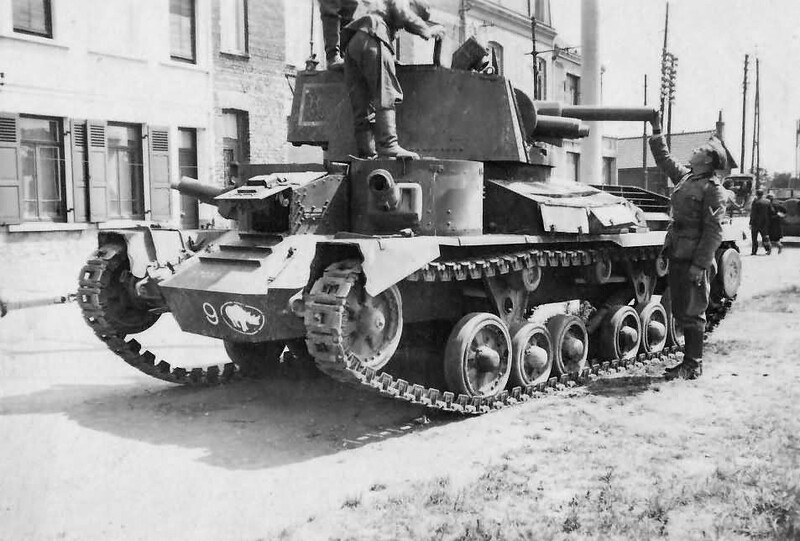 The A10 Cruiser Tank Mk.II was a direct derivate of the A9, intended to create a cheap heavily armoured Infantry Tank. 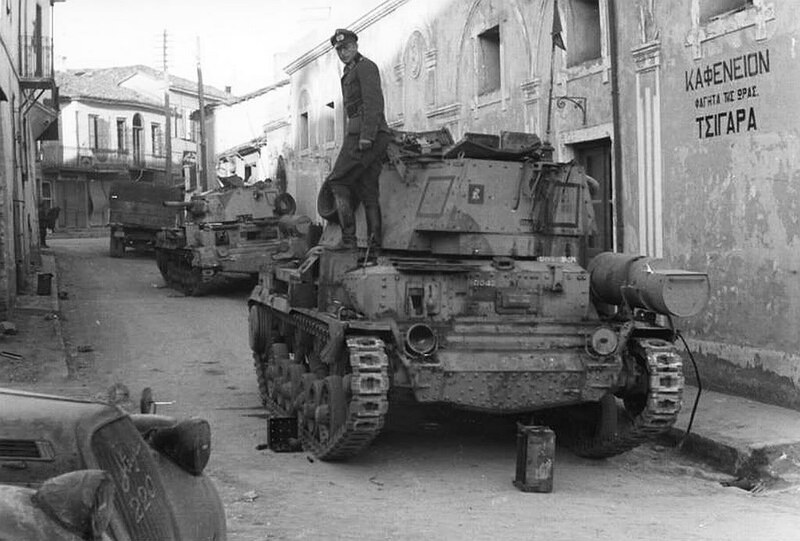 Therefore the armour was upgraded and the machinegun turrets were replaced with a more conventional boxlike structure for the driver and the machinegunner. 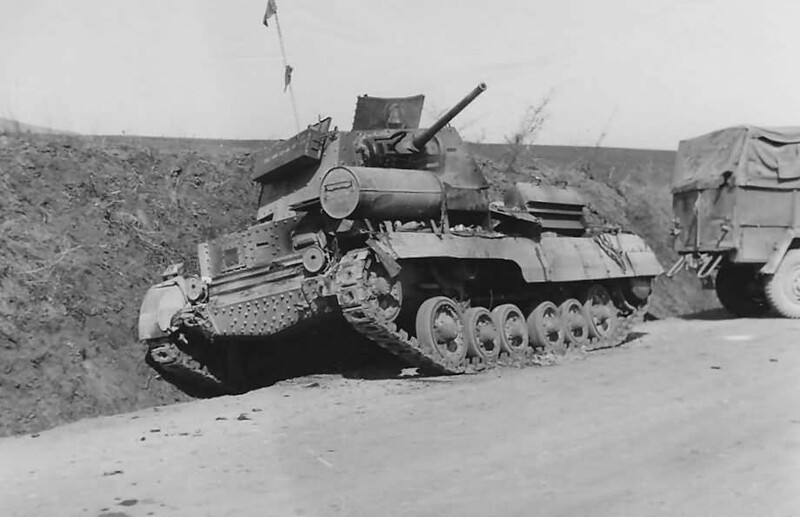 Although unsuitable as an Infantry Tank, it made a useful heavy Cruiser Tank which was deployed in France in 1940, in the early desert campaign and in Greece in the spring of 1941. The lower and upper hull from the box. 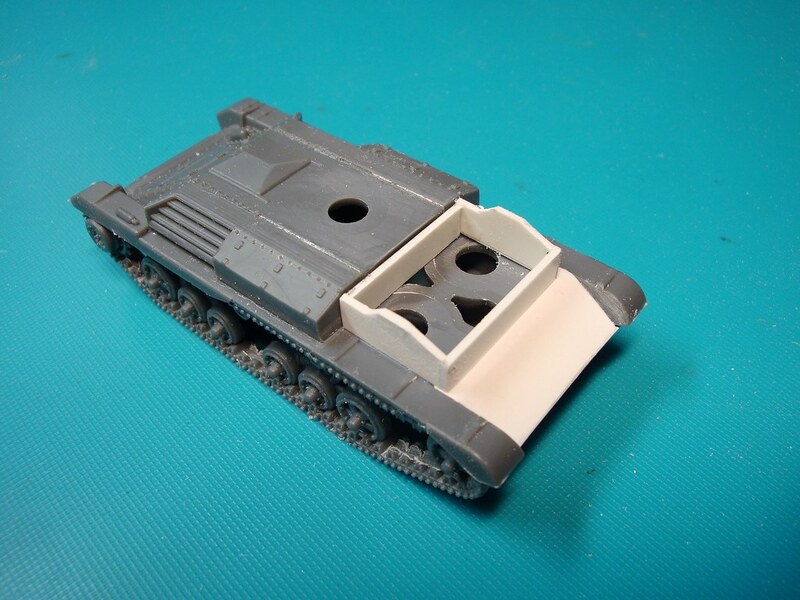 After removing some parts of the upper hull, necessary to build the A10 hull front. And now to build things up again! 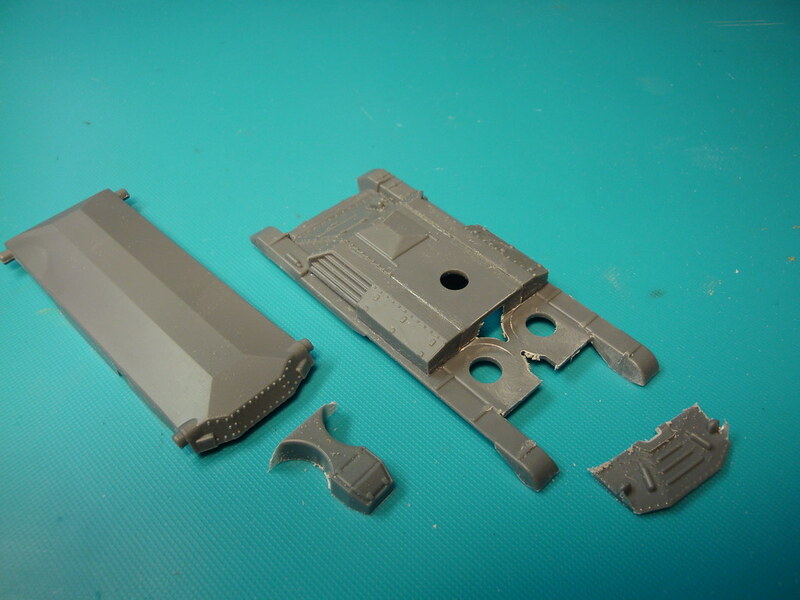 Due to the injection moulding, the tracks guiding teeth are massive blocks. 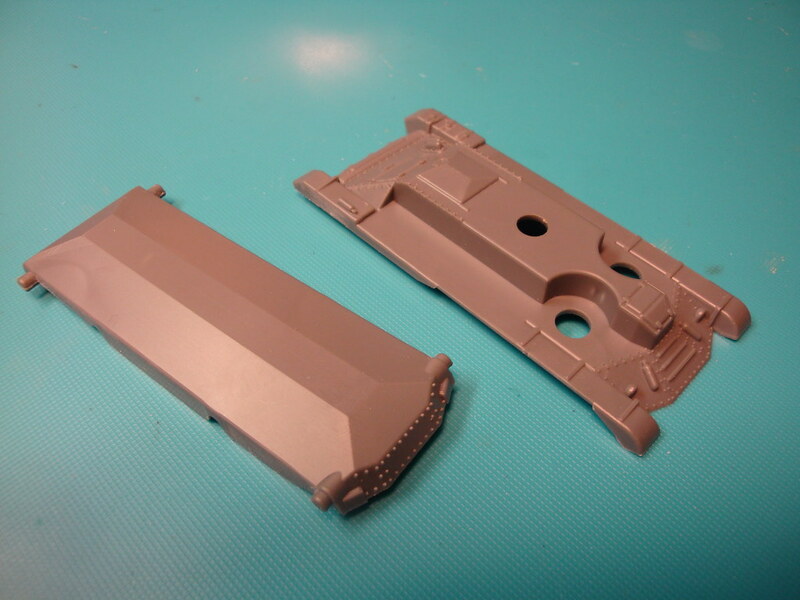 To improve that I cut away some parts of the track, shaped the guiding teeth with a very small file, and replaced the track parts. Next is a new glacis plate. 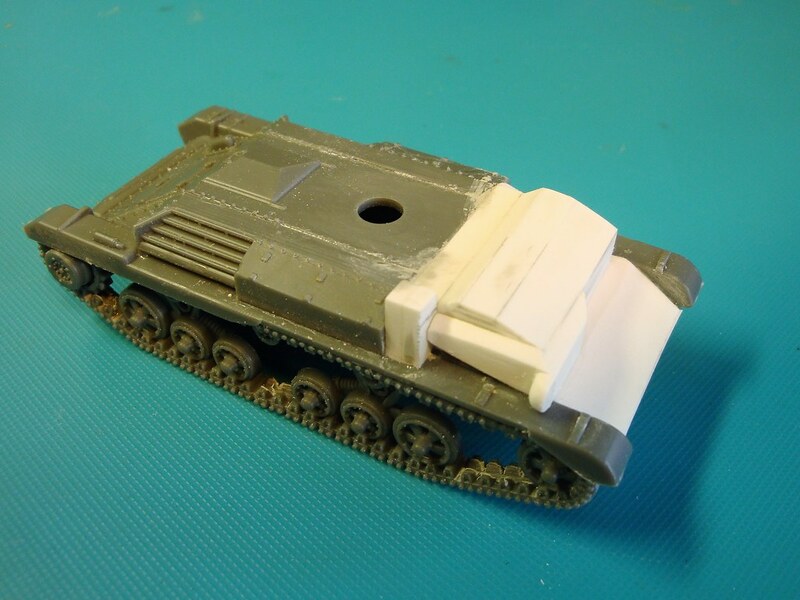 Then the hull top and bottom and the tracks were glued together. A new hull front plate was added in connection to the glacis plate. 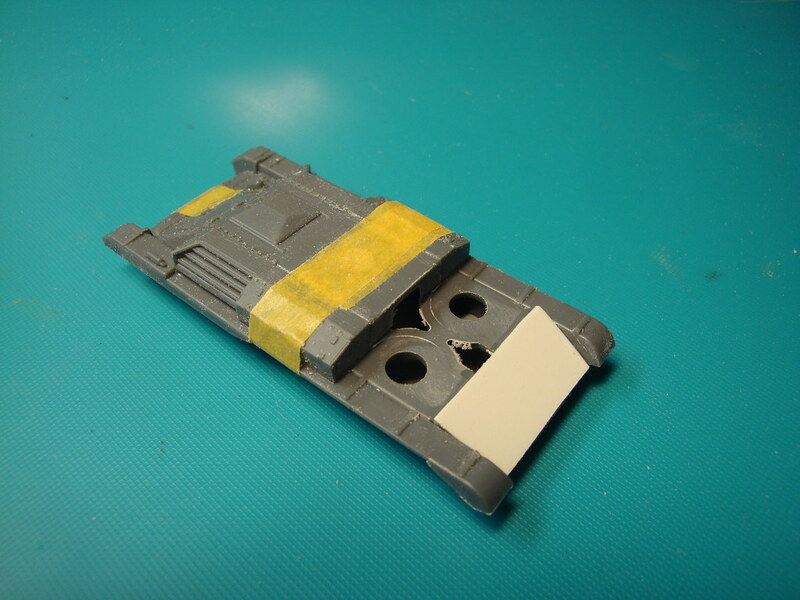 The boxlike superstructure, scratched from 1mm styrene sheet. The basic shape of the superstructure is ready now. On to some detailing including 100+ rivets! Fantastic conversion already, keep up the good work Huib! as a dio is in my head since years. 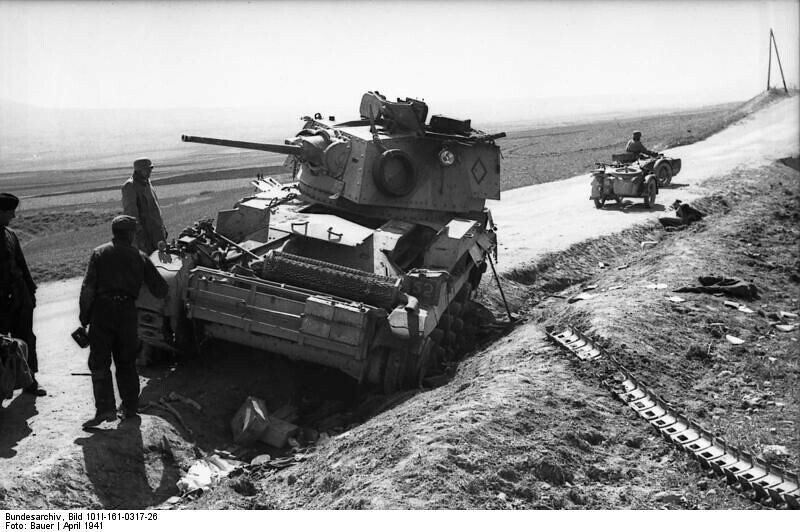 Nice that you do that tank in Greece. Look like a good start the cut and glued scratch parts. I really hope you surwive the rivets challenge. Excellent conversion work. 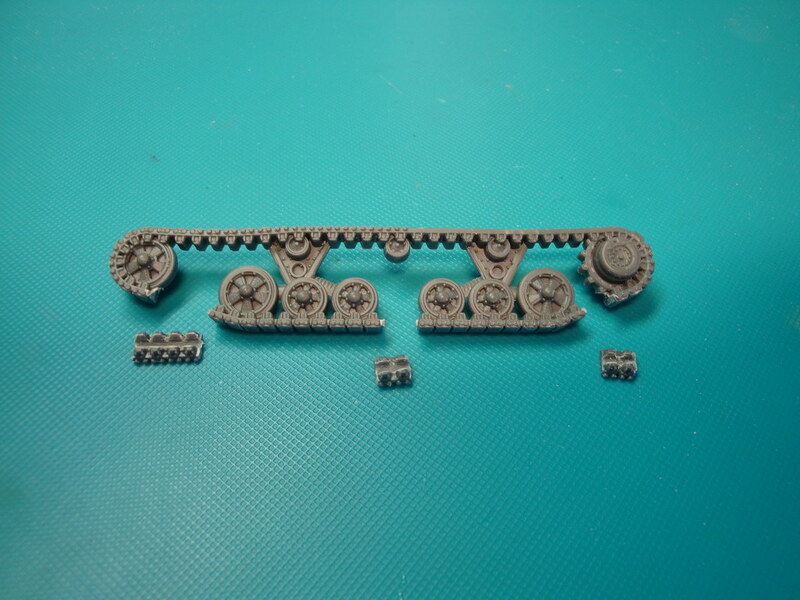 I'm very curious to know what technique you're going to use to make the rivets.